Amelia Van Brunt is a professional and award-winning actor/creator, clown, teacher, dancer, fire spinner, burlesque performer, character extraordinaire and founding Artistic Director of theatre company Bad, Bad Bunny. She performs regularly around the San Francisco/Bay Area and specializes in complete physical transformation and ferocious play in her characters. Amelia studied at Dell’Arte International School of Physical Theater where she completed a one-year Professional Training Program and after graduation returned to complete a master’s thesis on clown. Amelia performs and collaborates with companies including the Vau de Vire Society, Medical Clown Project, Fou Fou Ha!, Flynn Creek Circus, and Cirque de Bohème – with whom she is a core company member of. Amelia has trained with and worked professionally alongside Steve Martin, Bill Irwin, Stephen Buescher, Steve Smith (Ringing Bros and Big Apple Circus), Ronlin Foreman, Joe Dieffenbacher and Joan Schirle. Amelia completed an artist residence at the San Francisco Circus Center where she developed the one-woman show, ‘In the Blue of Evening,’ which tours internationally and was accepted into the 2017 International UNO Festival. Recently she received the full CCF grant from the Center for Cultural Innovation to attend and present at the HCIM 2018 – Healthcare Clowning International Meeting in Vienna, Austria as a representative of the Medical Clown Project for this international conference of therapeutic clown leaders. Florent is one of a kind. His awkward tendencies impose a specific challenge for him, influencing his distinct and captivating body language, and earning him the nickname “Gaston Lagaffe”. He accepts this title with a grin, as he dances away with graceful awkwardness, juggling with ease and perfect coordination. At the age of 17, after realizing his weightlifting career was coming to an end, he decided to give himself completely to circus. Over a period of 5 years, 3 of which were spent at theNational Circus School in Montreal, he developed his circus skills, notably juggling, which would become his specialty, and clowning, a skill and passion that he continually nourishes and develops to this day. These years of work led him to a silver medal and public prize at the 30th “festival mondial du cirque du demain” in 2009. He went on to tour the world for 3 years with the company “The 7 fingers” in the show “PSY”. He is now a founding member the company “Tete d’Enfant“, as well as co-director and performer in their first show, “Me, myself and us”. He continues to perform his solo acts and give workshops in the hopes of contaminating his audience and pupils, spreading his sweet madness upon those who wish it (and maybe even those who don’t!). Until the age of nineteen, Marianna learned to make excellent coffee and cappuccinos. One day, she packed her bags to travel the world, and discovered circus! Until this time she had no prior circus training, she had never hula hooped, or even done gymnastics. Despite this total lack of circus skills, she had the opportunity to hula hoop with a friend; Silvia Pavone. With her she learnt to hula hoop in Italy for the first time, but this was for fun and not in a traditional circus. Marianna started to play with the hula hoop, and found that it helped her to release repressed anger. Later she played with this circular object in various performances on open stages, and she decide to study something beyond the techniques learned from the hula hoop videos she had seen. She went on to study at “FLIC” circus school in Italy, and later in the school of circus “LE LIDO” in France. Having started this skill just for fun, she now works using her own personal style, where the simple turn of hula hoop, is sometimes forgotten in the corner of her brain. Actually she works with GOP Varieté. Robson de Souza Pinto Junior (Anjo Bem Souza) was born in the city of Colatina (ES) on October 31, 1991. He has been a professional slackline champion and leader in local, national and international competitions since 2012. Specializing in slack line trick acrobatics translated from sport into a fluid artistic presentation, Anjo is one of a handful of performers of this genre in the world. He has toured in the largest traditional circuses of South and North America including American Circus in Chile and Ringling Brothers and Barnum & Bailey and in the USA. Two-time professional Brazilian Slackline champion (2013), different competitions. Two-time professional Brazilian Slackline champion (2014), different competitions. Vice-professional South American champion in Los Andes in Chile (2013). Current Pro Slackline champion champion in Espirito Santo (2016). Vice Place International Circus Festival – Golden Circus, performance Slackline (2014). 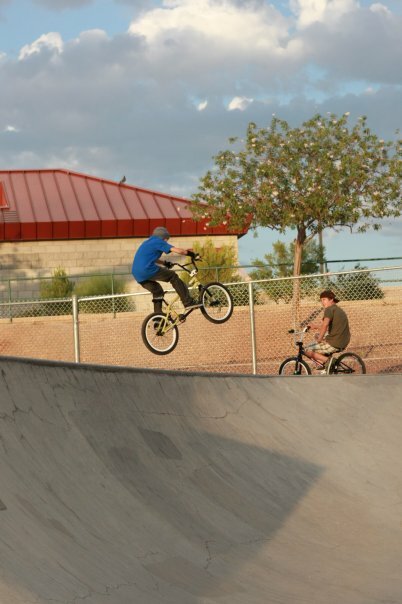 Tanner is a professional scooter rider, youtuber and trampwall acrobat. He is also the founder of Off Axis Acrobatics. At the age of 16 Tanner started competing in the freestyle scooter circuit and was soon picked up by Razor. Tanner has competed and performed in 10 different countries and was also the team manager of the Razor Action Sports team for years and was a semi finalist on America’s Got Talent. Later he found a passion for trampwall and acrobatics and soon started his own show which is now known as the Off Axis Acrobatic Stunt Show. 18 year old Maya deLoche, Aerialist and beginner Contortionist with a background in Theatre Arts and Vocals has enjoyed performing since the age of 5. At about 10 years old, Maya began training and eventually performing with Circus MeCCA and fell in love with Circus Arts. She now specializes in Aerial Silks, Cerceau (aerial hoop), and Contortion, and has fun developing character and choreography. This year she is excited to be part of a challenging doubles act on Lyra that she hopes you will love as much as she does. She was able to expand her skills attending classes at Ecole Nationale de Cirque in Montreal, and competing this Spring in Las Vegas at Viva Fest 2018 . Maya loves all things Circus, and is so happy to be back in her second year as an Apprentice touring with Flynn Creek Circus! Last year, she was selected as a Circus Mentor’s Junior Performer and was given the opportunity to tour with a real circus for 3 summer months. After 66 shows and 11 cities, she learned leadership and team work skills, and, in her own words, “I feel as though I am a much stronger, more independent, hardworking, motivated person that works through until the job is done, but has fun doing it.” For her, this apprenticeship was positive and life-changing, because she has a working knowledge of what it takes to live life as a circus artist, living and working as a team, and knows it is her future. Maya’s performance experience with Circus Mentors was a determining factor in her recent success at winning 3rd place in the VivaFest emerging artist’s program, 2018. Jenavieve hails from Mendocino, CA, where she has developed a unique style based on her combination of strength, flexibility, and grace. She is a well rounded artist performing aerial hoop and training straps, rope and tissue with the Mendocino Center for Circus Arts (CircusMecca). Jenavieve has wowed audiences with her fluid and dynamic power for two years now with CircusMecca and is looking forward to debuting a new duo aerial hoop act for the first time for Flynn Creek Circus audiences this summer. Claire comes from the mountains and forests of the North-East, with a background in dance, having trained Classical Ballet, Modern and Contemporary Dance from a young age. Claire’s experience in dance extended to opportunities working with companies and choreographers from around the globe including Kibbutz Contemporary Dance Company in Israel and Divadlo Continuo Theater in the Czech Republic. In 2015, Claire began exploring circus arts and graduated from New England Center for Circus Arts’ (NECCA) Intensive Training Program in 2017 with a major in Chinese Pole. Claire has been an artist in residence at NECCA while coaching dance for the 2017-18 year and performed at VivaFest, Las Vegas in February, placing second in the Emerging Professional category. When not in the studio or on the road, Claire can usually be found in the woods and fields of Vermont. She has been training aerials silks and trapeze with Circus Mecca for four years and on her first season with Flynn Creek Circus she became hooked on Spanish Web. When she isn’t spinning she teaches children’s art and aerial classes and produces a monthly storytelling event – Coastal Storytellers. 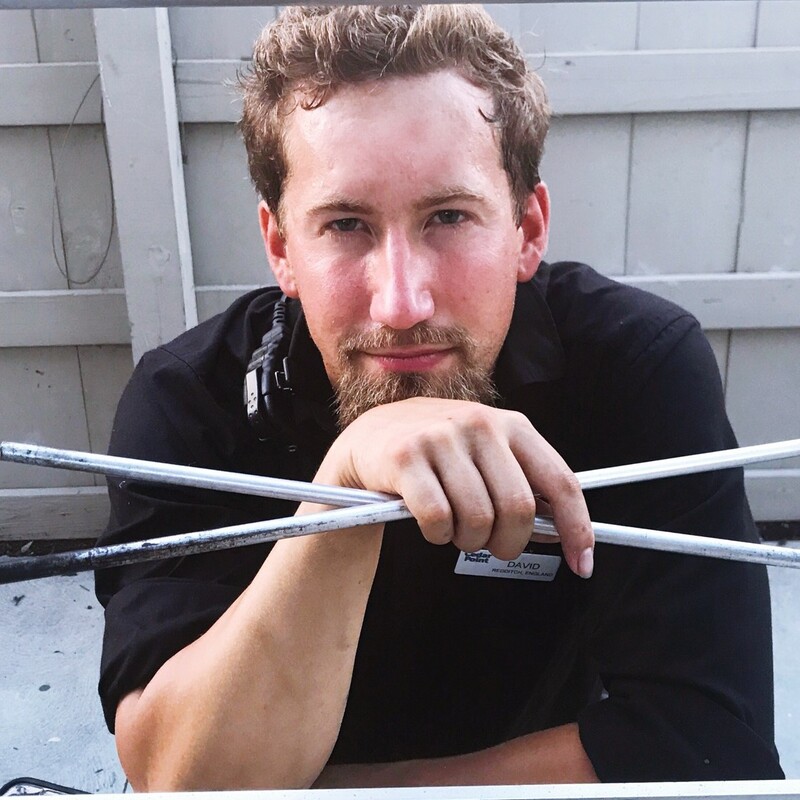 Frederick Andersen has been touring with Flynn Creek Circus for four years now as a tent master assistant and lighting technician. He comes from circus Waldissima a youth circus from Santa Rosa where he was also a tent master and behind the scenes technician. He is 20 now and has been a part of circus for over 13 years both performing and backstage. When he is not running off with the circus he works in construction and excavating and as of this year is a member of Cirque du Soleil tent crew. Tyler Beale is 28 years old. 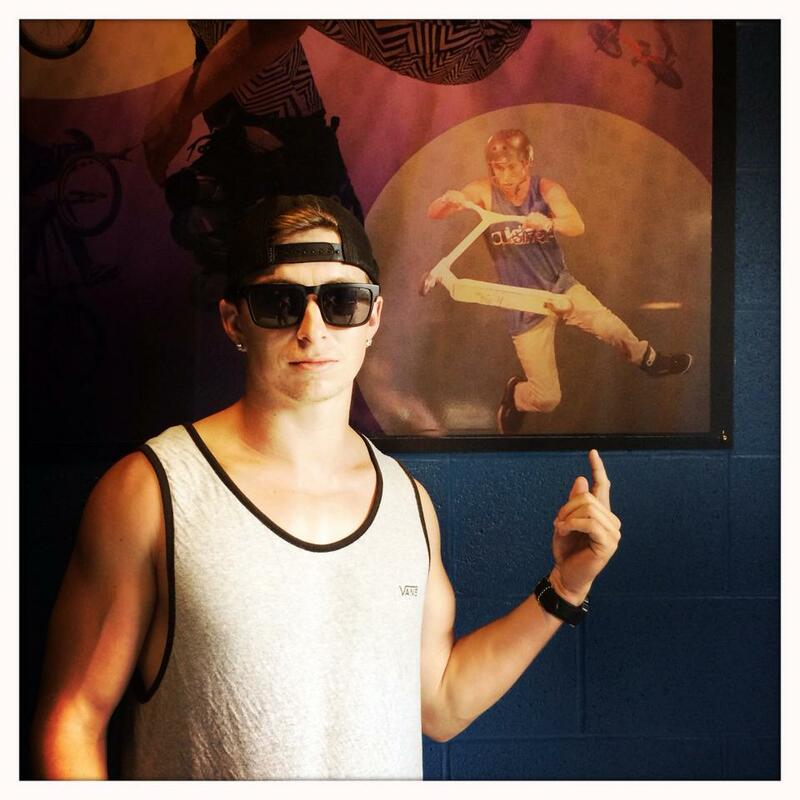 Born in Santa Rosa, California, this will be Tyler’s fourth year touring and performing with Flynn Creek Circus. 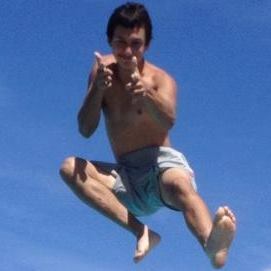 He has always had a passion for pushing the body and mind to its limits and jumping into adrenaline filled activities. It was only a matter of time before he found the circus world, his true home. His specialties include aerial straps and precision knife throwing. Don’t flinch!! Training five days a week to perfect his skills. In his off time, he is a foreman for a construction crew that helps keep him in top physical condition. Last year he travelled Udmurtia State Circus in Izhevsk, Russia to assist David and Blaze for their performance. David Wagar is a freelance Lighting Designer and theatrical technician from Northeast Ohio. He studied design at Ashland University where he designed the lights for many styles of shows including cabaret productions, one acts, and concerts. As a professional, he has designed for many companies and high schools in the region. He has been the Lighting Director for Northwestern High School since 2015 and for the past two years has been a lighting technician for Cedar Point’s Live Entertainment Division. He would like to thank his family and friends all over the world for their love and support. ‘Adrift’– A hilarious Circus Odyssey filled with incredible stunts and surprising twists. Flynn Creek circus returns in 2018 with an all new, better than ever show! This year’s event features huge acrobatic stunts like never before as we journey along a hilarious sea odyssey. International award winning aerialists, acrobats, jugglers and more weave an extraordinary story while displaying tremendous skill mastery. Appropriate for all ages. Charming, quirky and unforgettable, this show promises to please! Flynn Creek Circus is an all-human production.